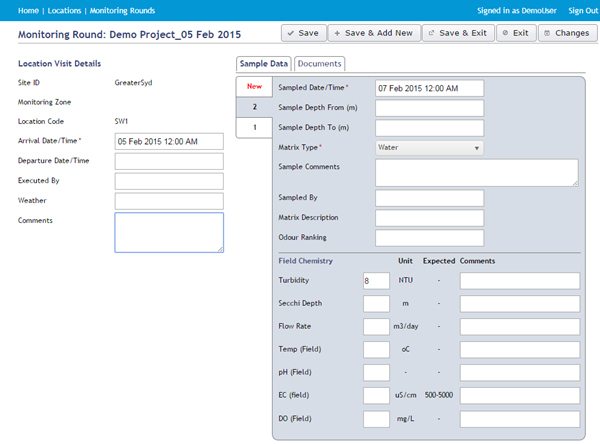 The ESdat Field Portal has the capacity for users to enter Field Results directly into a web form on a Tablet or a PC. The ESdat Field Portal is included for all ESdat users that have the ESdat Server Components. It is optimally used in conjunction with LSPECS for managing field work, but can also be used independently. The above form shows all results in a Monitoring Round, including photographs. Field Results can be entered using the form below, which records all results related to a visit to a Location. Results are immediately available through "Data View" in ESdat Online or ESdat Server, or ESdat Desktop or other ESdat data interfaces. 100% of environmental professionals saved time when using Esdat Environmental Data Software. Over 50% of professionals achieved time savings of at least 40%.